The whole TV world is talking about Kelly Ripa and Michael Strahan -- except for Ripa and Strahan. Ripa has taken the rest of the week off from their talk show, "Live with Kelly and Michael," amid a public feud with the show's parent company ABC. Strahan has one foot out the door -- he's celebrating a new full-time role on "Good Morning America." But for now he has to co-host "Live" with substitute hosts. Erin Andrews filled in on Thursday's show. They made no mention of the controversy, even though most viewers have surely read and heard about it elsewhere. ABC hasn't commented on the plan beyond next Monday. It is unclear if Ripa will return to "Live" at that time. But there is already ample curiosity about what she'll say when she does come back. Bravo host Andy Cohen, Ripa's friend and occasional substitute co-host, Instagrammed a photo of them with the caption "Morning Queen." Gossip columns and tabloid covers say Ripa feels "scorned" and "betrayed." Thursday's New York Post cover calls her "mad as Kel." But Strahan is likely being advised not to address the controversy directly. While he agreed to shift from "Live" to "GMA," the decision was ultimately made by ABC management. There was no explicit mention of Ripa's protest when he made small talk with his "GMA" co-hosts on Thursday morning. But there was definite subtext. Strahan profusely thanked Kelly, saying she and producer Michael Gelman "showed me the ropes." Without them, "I never would have a chance to be here but I'm grateful that I'm here," he said. Strahan said "GMA" was like his "second family," alluding to the corporate synergies that are in effect. "We're on the same network," he said. "I'm just right over here, but we're on the same team" -- he looked into the camera while saying that -- "same family, same network." "GMA" is the flagship morning show of ABC, earning hundreds of millions of dollars each year for its parent company Disney. 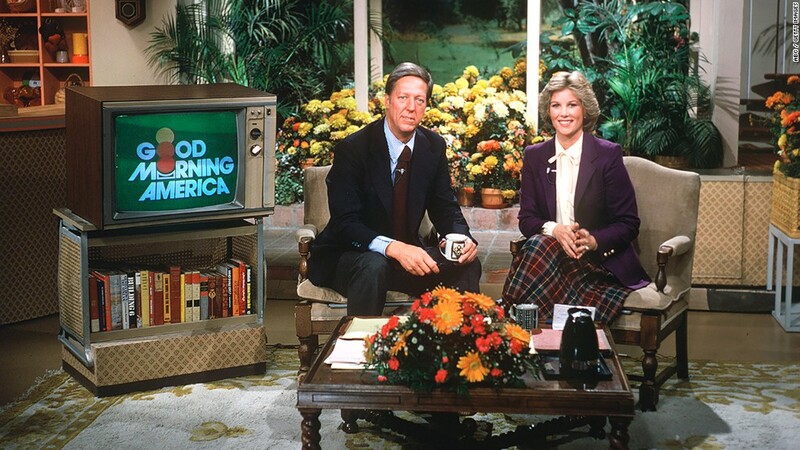 "Live" is a syndicated talk show that follows "GMA" in most markets. It is produced by ABC's local station in New York and distributed by another division of ABC. That's partly what this week's dust-up is all about. Strahan has been part-time on "GMA" for the past two years -- something that Ripa resisted at the time. "Ripa was worried it would distract him from 'Live' but was reassured it would only be a temporary position," The New York Times reported on Thursday. But it was permanent, and now it is becoming full-time. ABC executives believe Strahan's presence on "GMA" will help shore up the morning show, which has lost ground to NBC's "Today" and "CBS This Morning" recently. The same executives say the network remains committed to Ripa's "Live" franchise. Strahan's successor will be identified through a series of on-air try-outs starting this fall.